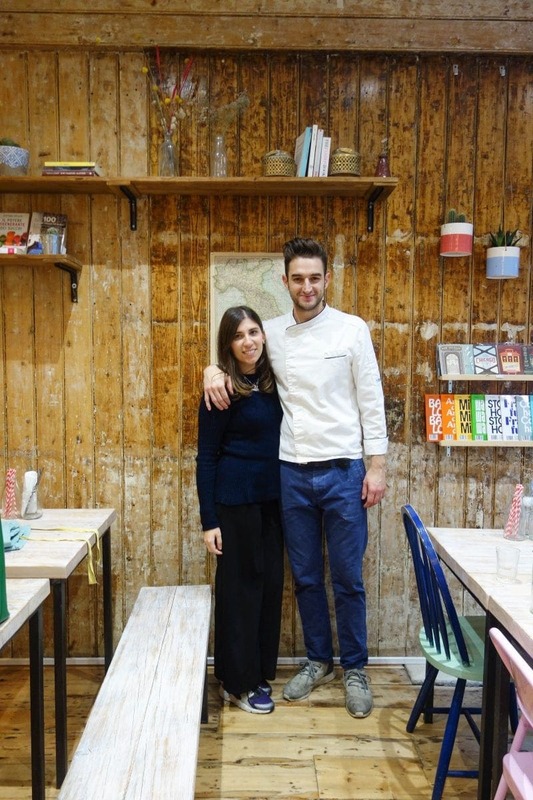 1n1 Fashion n Pizza is the brainchild of Andrea and Martina, an Italian couple with two great passions in life. Andrea’s, Pizza. Martina’s, fashion. In 2017 they combined their two loves in life and opened concept store 1n1 Fashion n Pizza. So, what’s a concept store you might be thinking? 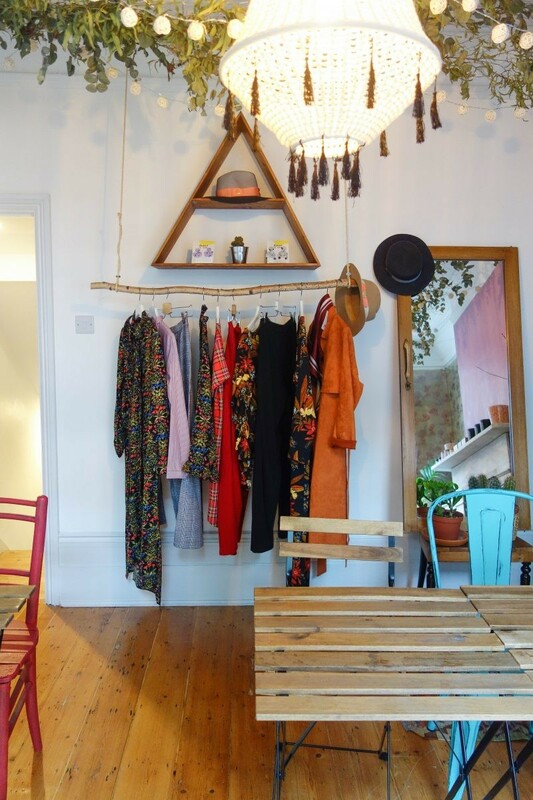 Insider Trends describes it as somewhere that sells a carefully curated selection of products, handpicked from different brands and designers and that’s just what they’ve done at 1n1. 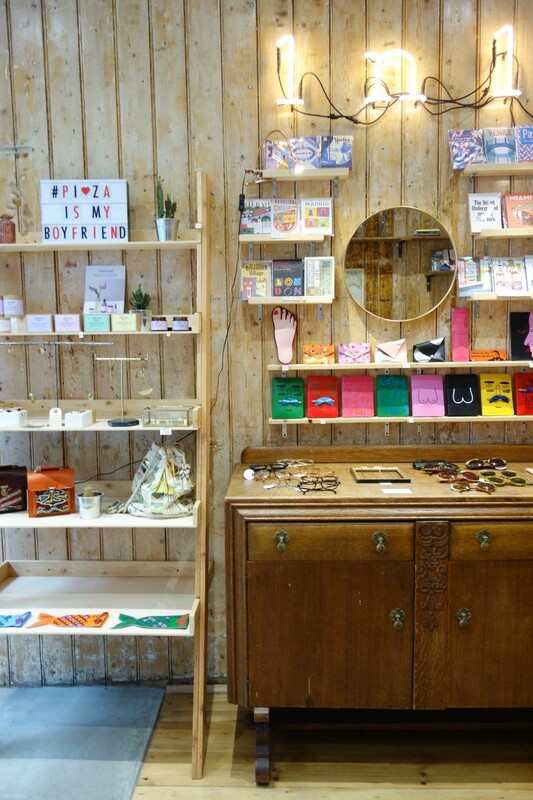 It’s a charming store full of quirky homeware, beautiful jewellery, and bespoke fashion. 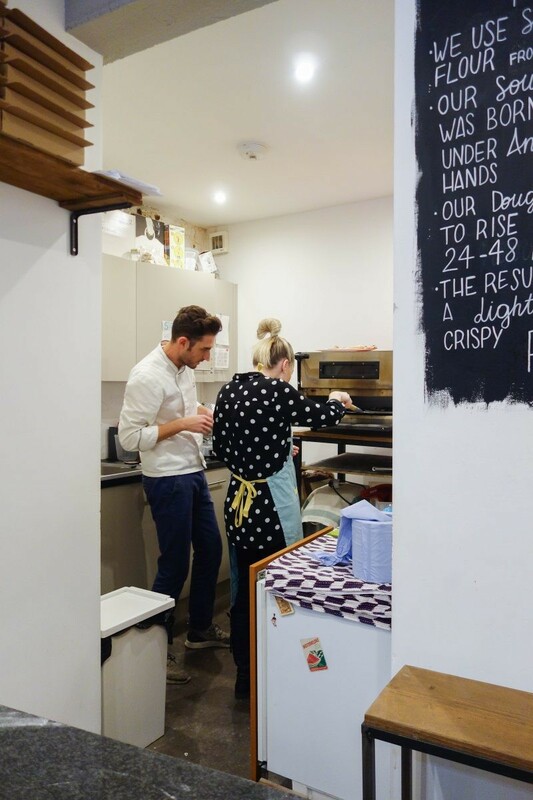 However, what you don’t expect is that amongst the beautifully tailored collection selected by Martina, there’s a teeny kitchen in the back which produces some great, authentic Italian pizza. When you walk into 1n1 you don’t feel like you’ve walked into a store or a restaurant but more like someone home. 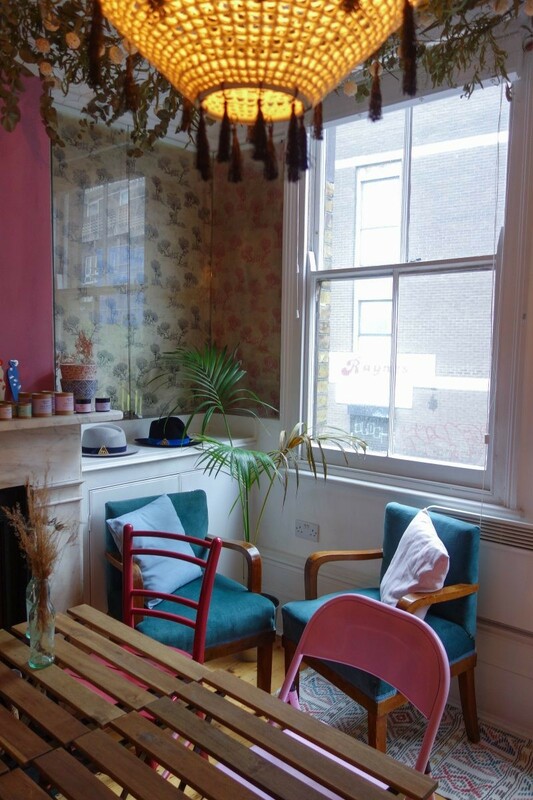 The way they have designed, decorated it, and whacked on a really good Spotify playlist means you feel like you’ve been invited to chill and eat pizza at your mate’s house, rather than a shop in East London. If Martina’s got the fashion then Andrea’s got the pizza. 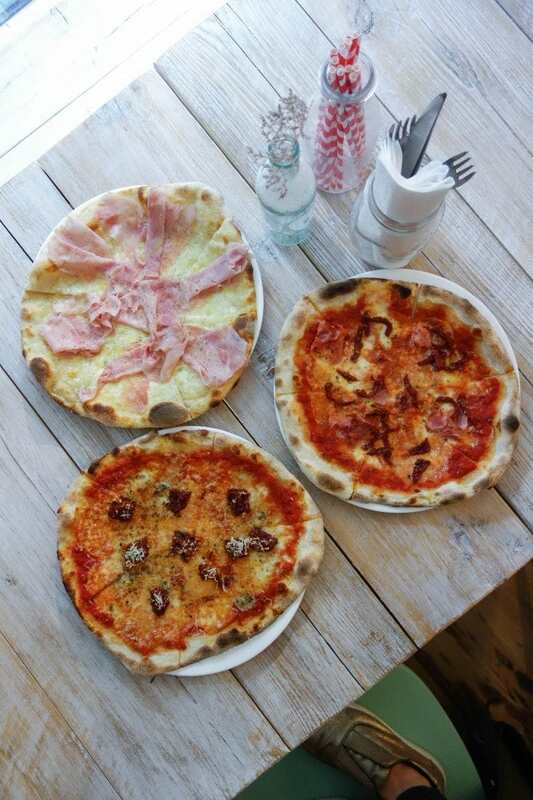 The pizza they serve is a sourdough Roman style which a thinner and crisper pizza than a Neapolitan and the menu changes with the seasons. 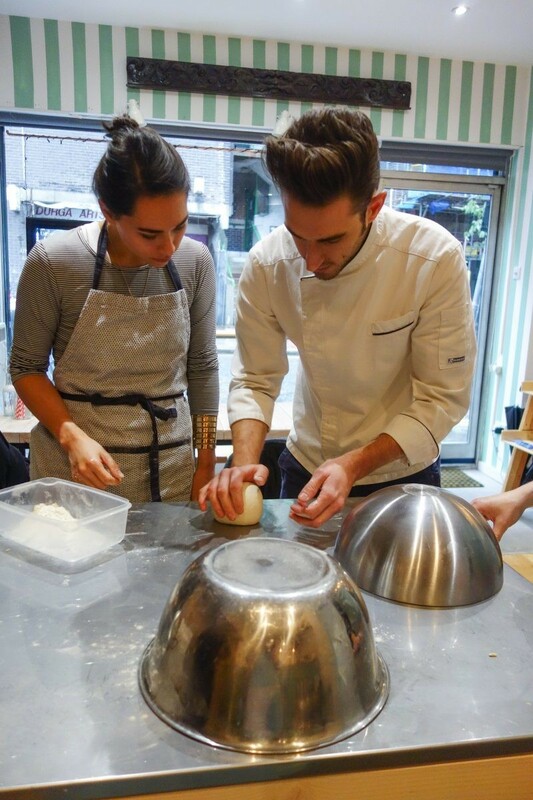 As well as the regular menu, they run a 2.5-hour class which teaches you everything you need to know about pizza! 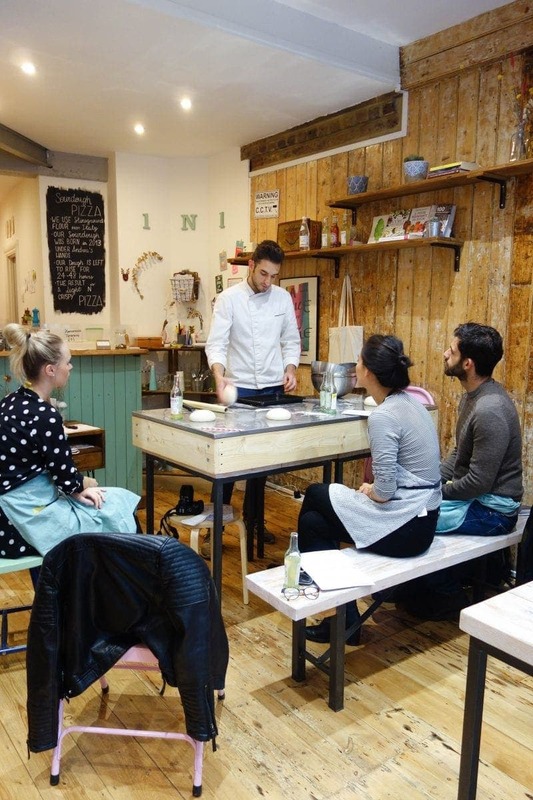 For £45 you get hands-on teaching and a take-home sourdough starter to make more pizza at home. 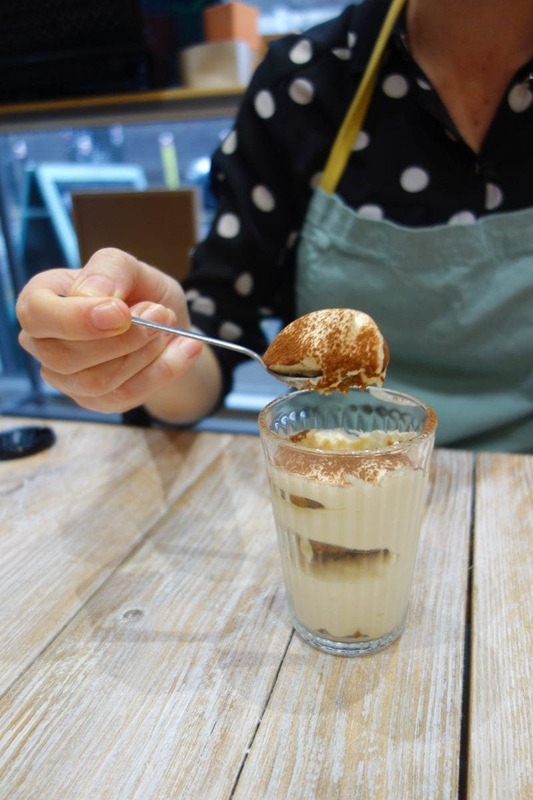 Plus, you get a pizza to enjoy on the day, a drink AND their dreamy tiramisu made with their secret ingredient. I won’t spoil it, just know its amazing! If anyone ever lived and breathed pizza it’s Andrea. Watch him with the dough and you’ll understand what I mean. Not only by the way he talks about it and looks so comfortable doing it but also by the fact that he’s so dedicated to the cause he takes his sourdough where ever he goes to nurture and feed it every day. Yes, even on holiday! Commitment to carbs right there. 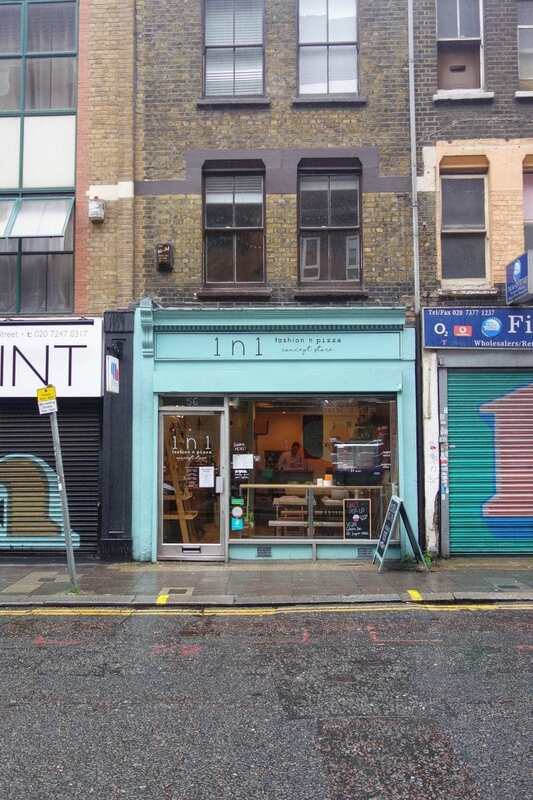 Everything about 1n1 is authentic – what all the best eateries are! They told us they eat pizza every single day and I believe that 100%. It also means I’m 100% jealous they get to do that and still look like they do! Oh to have Italian genes! 1n1 a true reflection of two peoples genuine passions in life and it shines through in every element of the store. The store is beautiful and the class is the perfect balance of fun and educational. 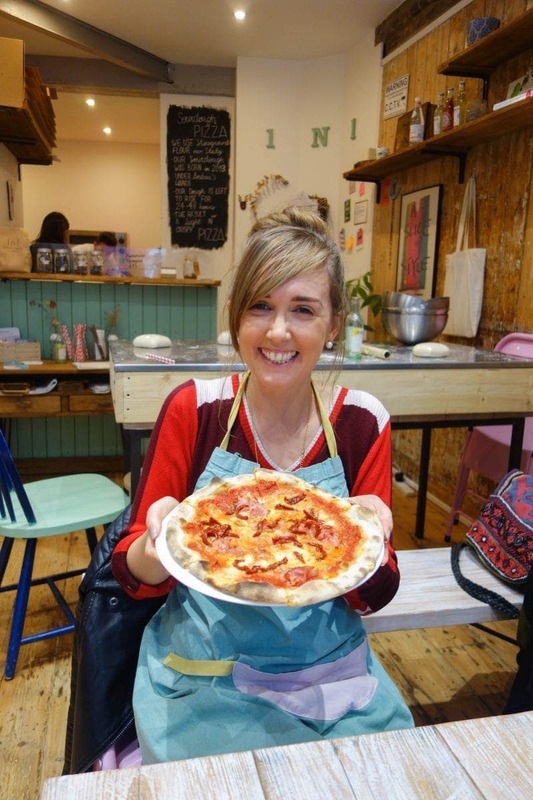 You’ll walk away having had a great afternoon but also having genuinely learned how to make a good pizza at home. If you’d prefer to just skip straight to the eating remember they are just a restaurant too so if you just fancy a cosy dinner that’s always an option. You might walk in hungry with no intention to shop but you’ll probably walk out with something unique and a belly full of carbs. It’s these types of places and meeting people like Andrea and Martina that make me love London’s food scene even more than I already do! …I highly recommend you do!